Advertising, like any legitimate industry out there, is regulated. 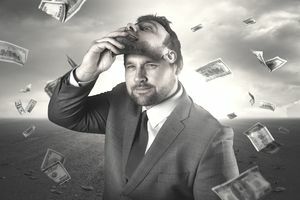 There are certain practices which have become outlawed over the years, and we have definitely come a long way from the days of snake oil salesmen, subliminal ads, and out-and-out lies. While there are rules that agencies cannot break, they can (and often do) bend them to make their point. Being unethical means not adhering to the proper rules of conduct for the industry, and also lacking moral principles. In everyday life, examples of this include, but are certainly not limited to: lying to your spouse, exaggerating skills on your resume or gossiping about a friend or family member. While these are not examples of good behavior, you're not really breaking any laws. You're just relaxing your moral code to get what you want. The same can be true of a business. For example, a doctor or dentist dating a patient is not against the law, but it is definitely considered unethical. Or, if a company consistently asks a salaried employee to work longer than 40 hours week after week, leaving him or her exhausted and highly stressed, that's unethical. So, now that we have established where the line is drawn, here are some examples of how advertisers, marketers, and businesses walk that fine line of unethical, but not illegal, behavior. Firms behind these loans are not breaking any laws. However, their advertising preys on low-income people who are desperately in need of money to pay for food, bills, and other essential life purchases. These loans offer quick and easy money but hide the high-interest rates in the small legal print at the foot of the ad. A typical payday loan comes with an interest rate of between 391 and 521 percent. Of course, you won’t see that advertised prominently. And that’s both predatory and ethically bankrupt. Once again, political ads do not break any laws. Well, none that can be prosecuted anyway. But the political ads referred to as “attack ads” paint a very poor picture of the opponent. These ads are designed to scare people into voting for the politician responsible for the ad, making it seem like the whole world will come to an end if you elect the wrong person. Attack ads, while unethical, are proven to work time and again, which is why we're unlikely to see them disappear anytime soon. Something that also crosses the line is the promotion of behavior that is immoral or unethical. An infamous example of this was an athletic shoe ad that appeared to encourage infidelity. The headline read “Cheat on your girlfriend, not on your workout.” It could quite easily have read “A workout is like a girlfriend – you never cheat on it.” But the ad agency and the company apparently thought the other approach was edgier. Maybe, but it's also unethical, and the shoe company faced some backlash from customers. You can also add to this list the following: dangerous driving, excessive drinking, unruly or anti-social behavior; cruelty to animals; neglect of children. The old saying “if it bleeds, it leads” does not only apply to television journalism. Advertising agencies and clients frequently use fear tactics. But, using them without the correct justification is unethical. If you are trying to promote something that will save lives, like anti-drinking and driving, anti-tailgating, the dangers of domestic violence, anti-smoking, or anything else that will do a direct public good, then fear may be considered a justifiable tactic. However, some agencies use fear in all the wrong places. For example, telling people just how horrible their lives will be if they don't have a certain type of insurance or, hinting that without this type of alarm on your property, you'll be raided and killed in a home invasion. Ideally, an advertiser should not scare people into buying anything. Finally, we come to the massive exaggeration of the truth. Kentucky Fried Chicken attempted to rebrand itself as Kitchen Fresh Chicken to downplay the "fried" in its name. It not only misled people, it basically promoted fried chicken as health food. If any advertising makes claims that mislead the public, then it is unethical. Of course, there is also a line between misleading, and crazy exaggeration. No man has ever really thought that if you spray your arms with a deodorant you'll be chased down the street by dozens of Victoria's Secret models. However, if you say your deodorant will keep you fresh and dry for a week, when in fact it only works for a day, then that's not only misleading ​but potentially grounds for legal action. What is an Ad Agency and How Does it Work?